Hey, kids: check out the online memorization tool at Memorize.com. Built on Ruby on Rails, with a CouchDB backend and some JQuery magic, Memorize.com doesn’t do a whole lot, but what it does do it does pretty well. It’s especially easy to use and basically it helps you memorize stuff with no signups are required and a variety of useful wizards that walk you through memorizing a page of text. The first iteration of Craig Muth‘s memorization tool consisted of simple lists, like the vocabulary tests from our middle school days. Recently added were map and diagram wizards to help memorize, for example, states and capitals, or parts of the human body. The wizards walk the user through the process of creating a page, and the entire layout is pretty intuitive. 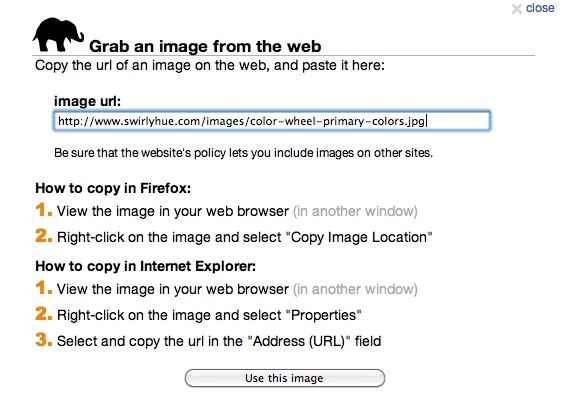 Here’s the link to my color wheel page. 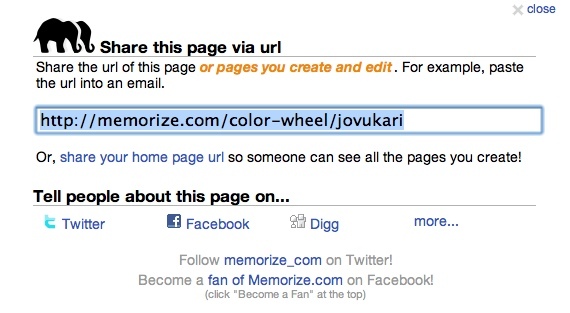 The underpinnings of Memorize.com are based around the wiki mentality of easily editable pages and shared editing. 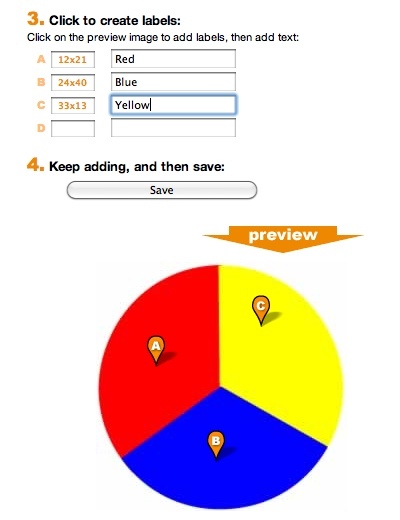 If a group is working together, they can quickly modify your work to save a new version. For example, take a look at the Memorize.com page for U.S. presidents, and its list of other versions. The first version was created in late 2007, and the most recent version was created in March of this year. Obviously Memorize.com is a great tool for students, and Craig confirms that the majority of their users are, in fact, students. But the tool is handy for a variety of other use cases, too. Craig suggested that sales reps would do well to use Memorize.com to keep up on a rotating list of stock items, for example. A restaurant could use it to help wait staff keep up on weekly specials; and a large company could use Memorize.com to help folks learn the company org chart faster. Craig suggested that a hosted version of Memorize.com is in the works, because many companies that might benefit from it have an aversion to keeping their proprietary information on a public site. For example, a pharmaceutical company might want sales reps to memorize the latest batch of drugs to discuss with physicians, but that information is confidential. A dedicated mobile version of memorize.com just launched today, too, which makes this even easier to use. Memorize.com fills a pretty interesting niche, and it does it pretty well.